Those of us in the business of managing Web projects don’t only have to be aware of current trends and best practices, we also have to make sure we’re using the best-in-class Web-based tools to help manage each element of the service we deliver. Whether the project is long or short, for a big-budget multinational or for a shoestring start-up, from the first sales call to the final invoice we need to be demonstrating how the Web can be used at its best. It’s tempting to think we can do a better job of these applications ourselves but apart from the obvious peace of mind that comes from not having to worry about the details (hosting, features, maintenance…) they really can free us to be much more creative on our client work. I’ve also reused many of their ideas in my own projects. This is not a review. It’s just a list of some of the tools I use with clients and suppliers and why I like using them but I’m always on the lookout for other options so please let me know if you can recommend any others. The tools themselves are not secrets of course, but how you use them, how you mix and match them to fit the project and how you integrate them together is something of an art so each project manager has an individual style. The tools become “secret weapons” when they’re used well and used appropriately. Sometimes a project doesn’t need any tools other than e-mail and telephone and so if nobody is using a tool just drop it – some clients are just not ready to have a “good thing” forced down their throats. I’m a big fan of 37signals. Their mantra is to keep everything as simple as possible and focus on the user experience. Their applications just feel good to use – it’s what makes the difference between them and their competitors. It’s difficult to find one project management tool that does absolutely everything perfectly. Basecamp does lack features but what it lacks in functionality it certainly makes up for it in user experience. Clients & suppliers love it because it’s such a pleasure to use. 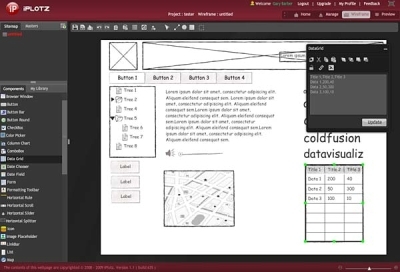 We can learn a lot for our own Web projects just by using this tool ourselves. The only problem I have with Basecamp is that it’s not available in Spanish. 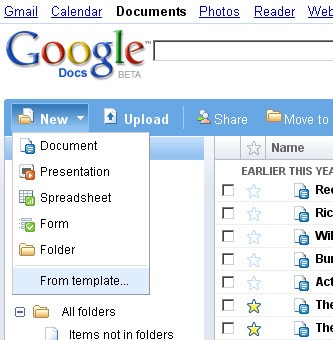 For my Spanish speaking clients I need to use Huddle which also handles a document collaboration. I stopped using (MSN/Yahoo/Skype) Messenger as a serious communication tool years ago. It was great at the time when there was nothing else available, but I found it led to too many confusions and misunderstandings so now I only really use Messenger if I need to ask a quick question (usually something like “have you got a second, can I call you?”). I need a tool that allows multiple, structured conversations in parallel with multiple users. 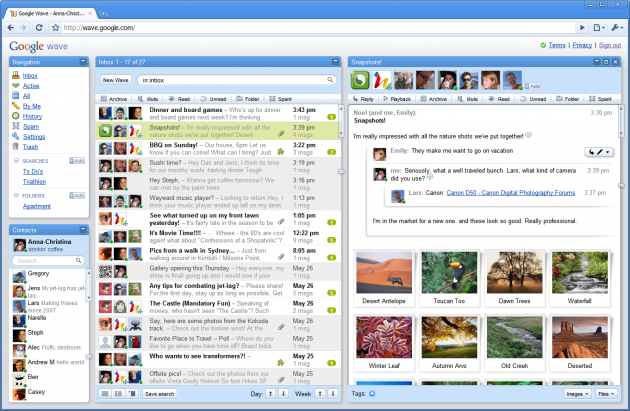 Google Wave, unsurprisingly, is gainly popularly very quickly because it takes the chat format to the next level. It won’t be long before everyone’s using either Google Wave itself or a clone inside the firewall. 12Sprints from SAP is new and currently still in beta but it looks like it could be a great alternative to Google Wave when it gets going. Other great tools in this category include Presently, Yammer, Social Cast & Social Text. I’ve enjoyed using each of them but always find myself going back to Google Wave, perhaps it’s because the people I know use it. Google’s strength is their availability – they’re reliable and ubiquitous enough to share with clients. They offer great functionality and value. 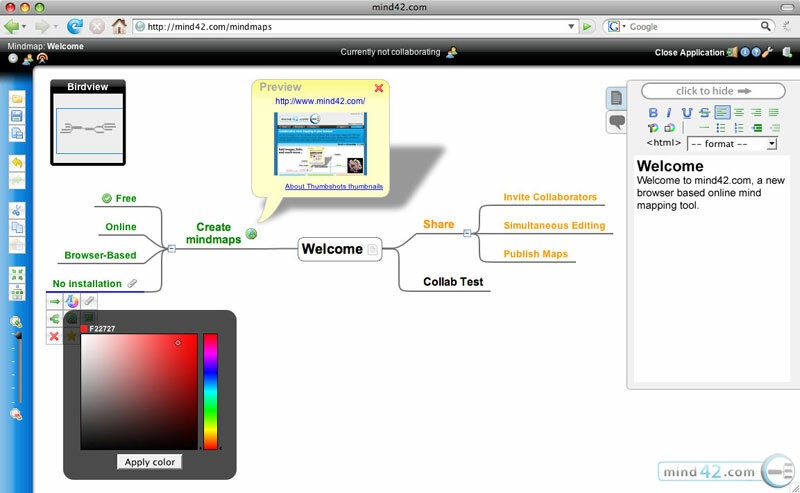 Mind42 and MindMeister are very similar but I prefer Mind42 for its simplicity. I find MindMeister a little clunky despite (or perhaps because of?) its attempt at a funky design. However, if I need to open the mind map for collaboration with Spansh speaking clients I currently only have one option: MindMeister. Great for getting and giving feedback on designs online. As a standalone app for feedback specifically on Web pages I much prefer Noteable. 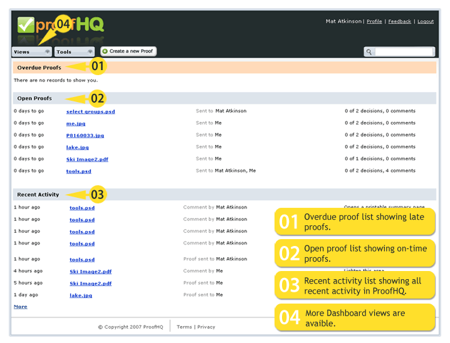 But as it doesn’t handle as many file formats or integrate with Basecamp (or any other system) I have to use ProofHQ. 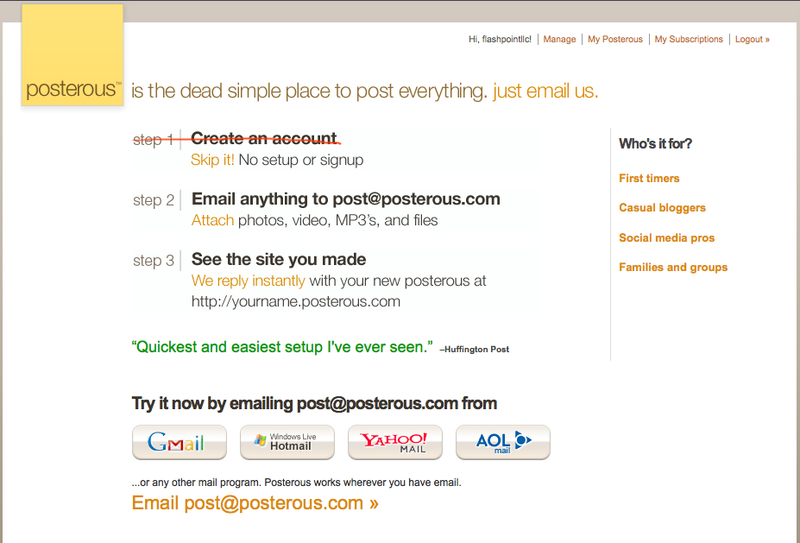 UPDATE: Posterous closed in 2013. For many projects, the blog format can be perfect for ad hoc communication like e-mails, announcements, status updates, drafts, proofs, risks and anything else that needs to be logged. The concept of Posterous is beautifully simple – post content by e-mail and it gets published automatically to the blog. 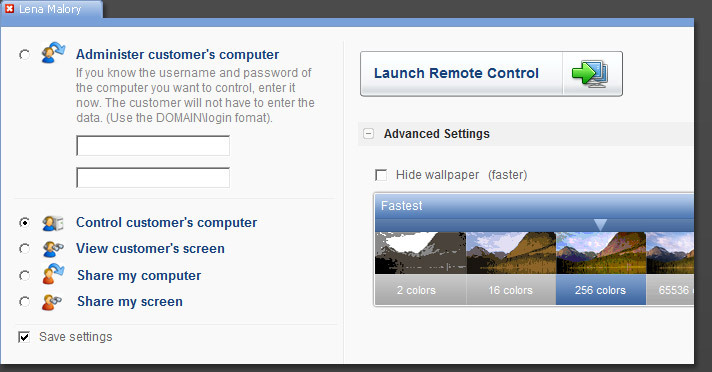 Set up a private blog in a few seconds, give access to your users and then delete when the project has been delivered. The quick and easy, throw away feel to it is important – it makes it feel like a notepad and it’s much less intimidating than a carefully branded WordPress page. I find this helps adoption. A note on WordPress: I tend to use it for public-facing blogs although with a little effort it could also be used in the same way as Posterous. However, the more effort that you put into a setting up a tool the less likely it will be used the way you want it to be used and the more likely it’ll start to piss you off if nobody uses it. Sometimes I need a structured place for project documentation and information that needs to be consulted a long time after creation. Google Sites is useful for publishing a welcome message for stakeholders, policies, guidelines, forms, links project tools and other permanent content. It’s also useful for bringing all the other tools together under one roof. It doesn’t look nice but it works and uses minimal Google branding and as it’s free I can keep the site up as long as I need without having to pass any costs on to the client. Dropbox is great for sharing files on a project. 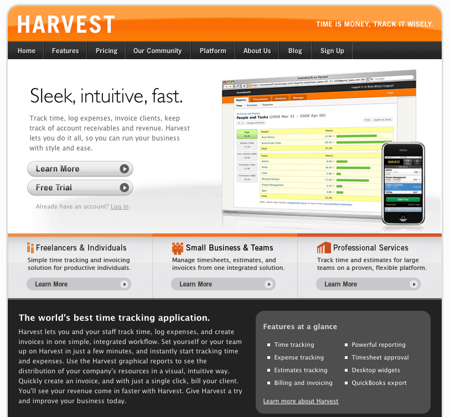 The interface is easy to use, responsive and feature-rich. It’ll also automatically generate a photo gallery for you.Yousendit.com and Drop.io are also excellent tools for sending large files by e-mail. 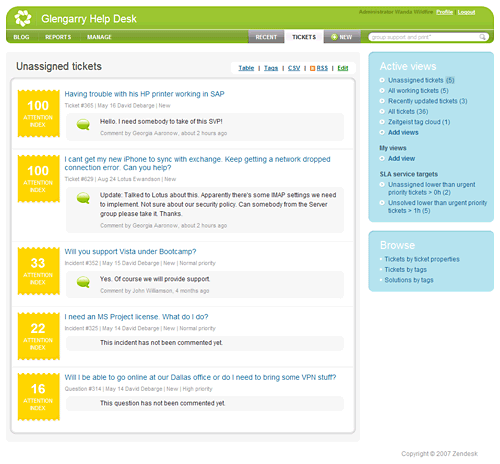 There are many options for customer support but Zendesk gets it right with an easy design, great usability and extensive integration possibilities (Basecamp, Highrise, Harvest and many other systems). With the exception of a few of the poorer quality free services, I’ve only tried NTR Support which seems to be the most popular service in Spain. It’s ugly but it works and what you need is speed and reliability. They’ve been around for a long time (since 1996), their service is good, the product is reliable, it works well on both PC and Mac and it plays nicely with other tools like Basecamp and Zendesk. 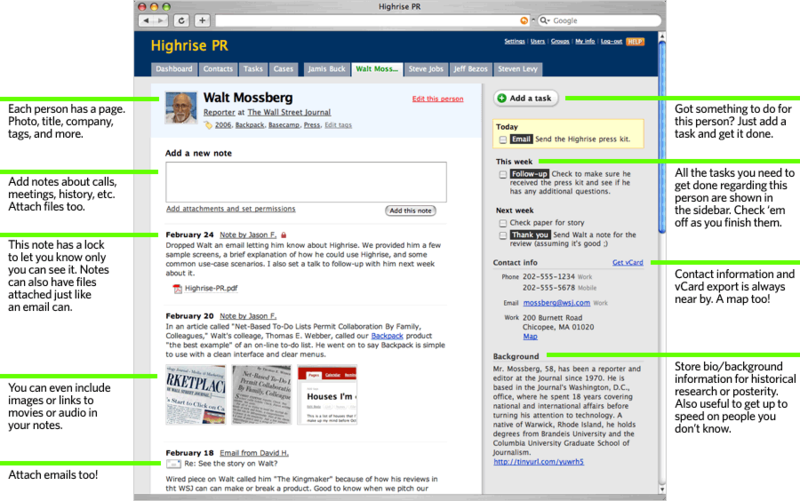 Highrise concentrates on contact management, and in true 37Signals style, it goes out of its way not to do anything else. I guess that’s why it does contact management so well. Relevant, e-mails telephone conversations, messages, any agreements go here so the whole team’s always informed. It’s usually used in the sales process but it can also be used for any project communication or ongoing negotiations with suppliers. I find Salesforce too clunky and too expensive for my needs. As I’m based in Spain I have requirements that most online invoicing applications can’t handle. For example, I need to be able to send invoices in both English and Spanish and I also need to have two lines of tax – one of them negative for IRPF deductions. 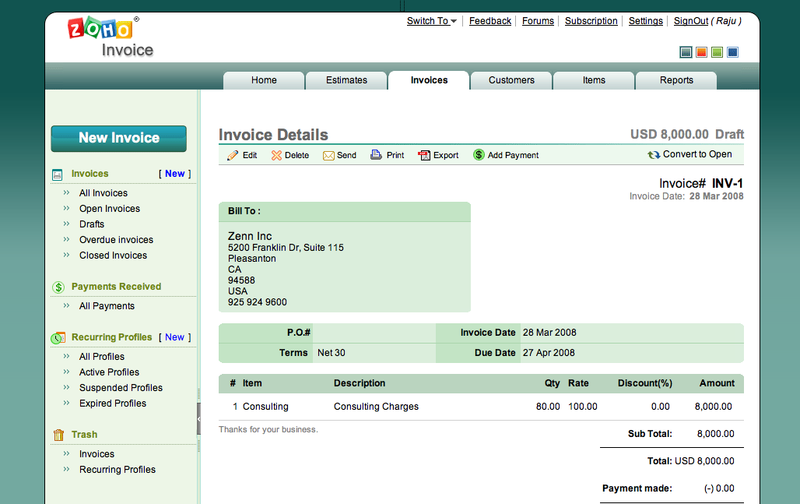 Zoho Invoice lets me do this and the interface is pretty intuitive too. I haven’t seen any European applications that can compete seriously with the functionality of Zoho Invoice. There’s just one thing missing: digital signatures on the PDFs to comply with EU rules for replacing paper. Some projects are so straightforward that a simple list of tasks and a couple of deadlines is all you need. I use this for my own personal tasks and for smaller projects. 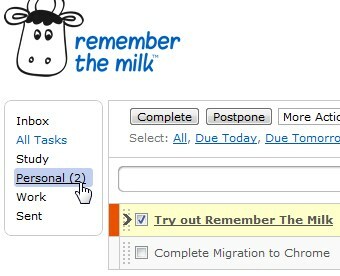 It does allow you to assign tasks to other users but for me this is getting into Basecamp territory. RTM’s interface is horrible but its Gmail gadget and Blackberry Sync decide it for me. I really love teuxdeux.com but until I can sync it with my Blackberry it’s pretty much useless to me. Hardly a secret weapon but an indispensible one. It’s not pretty and it’s got some usability quirks but it doesn’t take long to get used to them. The things that make this useful for me are Google Sync for the BlackBerry, calendar sharing and the connection to TungleMe.com. 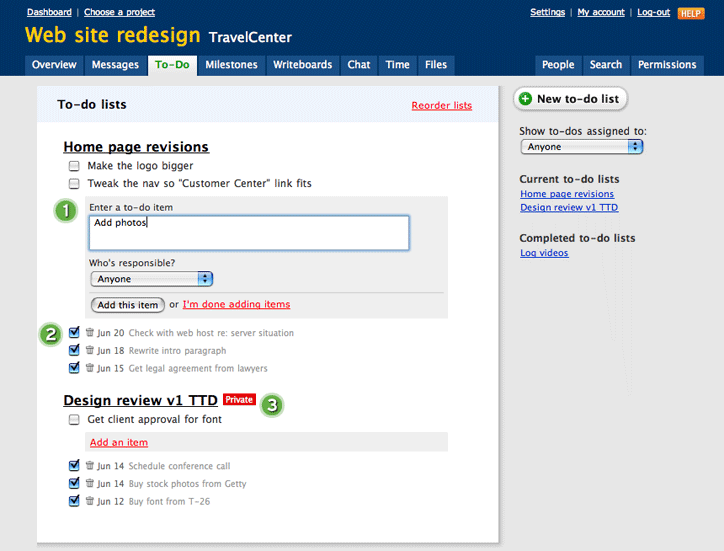 Teambox is much like Basecamp with a twitter-like format. Yes, I’ve tried it and I’m keeping a close eye on it – it looks very promising. Thanks Pablo! Hey there, I’m Spencer. I work for a company named Syncables, and after reading through this, I think you might want to check us out. 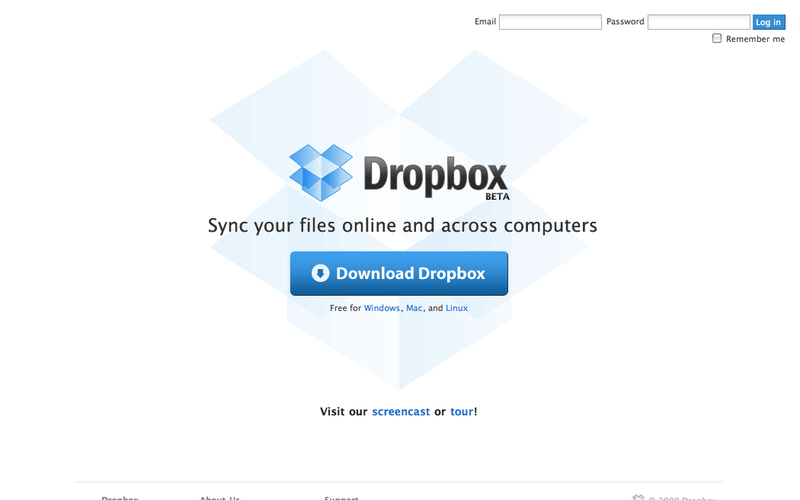 We make a localized syncing software that I’ve found makes a great compliment to dropbox. Our client is cross-platform, and it lets you keep your files, contacts and email synced between your computers over your home or office network, which is great for when you can’t get an internet connection but still need to transfer things between your machines. Additionally, Syncables includes a media component, which allows you to upload your media to any phone or usb drive. Anyway, come check us out sometime at http://www.syncables.com! We’d love if you checked out http://www.teamworkpm.net too. Has lots of features tuned for US and European users such as multi-language support, customisable date formats and does eveything Basecamp does with extra functionality such as Status updates and a team Calendar. 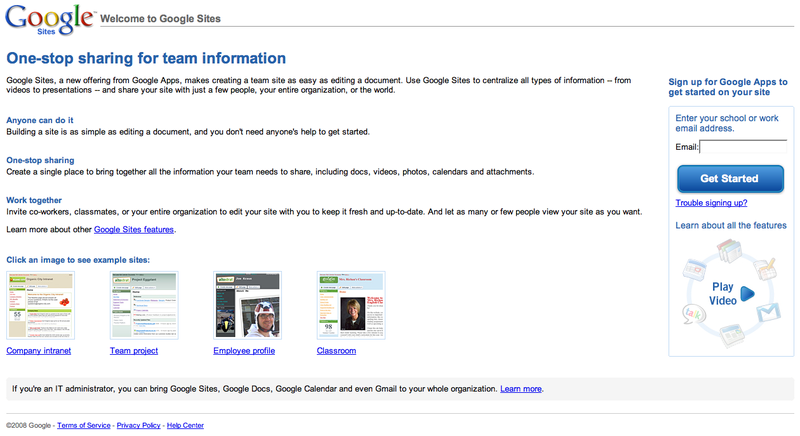 Project Resources is a great way to hook into ProofHQ or Google Docs. Thank you for this Dan – I have to say it looks fantastic. I’ll take it for a spin on my next project. Great roundup of tools. I use a lot of those but prefer Easy Projects for project management, Toodledo for task management and Freshbooks for time tracking, estimates and invoicing. Going to give iPlotz a go on the next project. Thats a very useful list of some really good tools. for a two member team and has different pricing plans for larger teams. Hi admin, i found this post on 21 spot in google’s search results. Hi Steven! Are you still a big fan of “keep it simple” mantra? If so, I believe you will be interested to check out Comindware Project – http://comindware.com/project/ – which is as simple as Basecamp and as powerful as MS Project thanks to automatic priority-based planning, easy resource planning, discussion rooms and clean drag’n’drop interface. Thought I’d add to your weapon of choice for Design Feedback – https://pageproof.com is excellent for all sorts of feedback across all sorts of work – video, audio, documents, imagery and of course design! Check it out for your next project…It’s fully encrypted too (nice and secure).